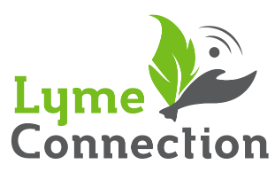 Lyme Connection offers monthly support groups in Ridgefield for Lyme disease patients and their loved ones. If you are looking for connection, validation and information, come join the discussion. Groups are always canceled if Ridgefield schools are closed, close early or cancel after school activities. Check HERE for the latest school cancellation information. The Annex is located between the Yanity Gym and the Board of Education offices. HEBRON, CT - Lyme Support Group. Second Wednesday of the month. 7:00-8:00 pm. 27 Main St. Contact:p_fontana@hotmail.com. MANSFIELD/STORRS, CT- Lyme Disease Support Group. Informal get togethers based on interest and weather. Call or email to learn more. SOUTHBURY, CT- Tribury Lyme Disease Support Group, Third Thursday of every month, 1:00 p.m., United Church of Christ, 283 Main Street, Southbury, CT, Room 101, Use side entrance, follow green signs, Free meetings offering speakers and discussion. Contact: support@triburylyme.org Check website triburylyme.org for cancellations. WOODSTOCK, NY- Ulster County Lyme Support Group, Fourth Wednesday of every month, 7:30 p.m. Overlook United Methodist Church, 233 Tinker Street, Woodstock, Contact Susie 845-891-6760 or Rick 845-616-5410. NEWTON - Sussex County Lyme Support Group, Third Thursday of the month, 7 pm - 9 pm, The United Methodist Church, 111 Ryerson Avenue,Newton, NJ. For more information or to RSVP, email Joann at molnajoa1@verizon.net or call Marty at 201-213-4178. Open to anyone who is a parent or family member of a child with Lyme disease and/or other tick-borne infections. To join, click HERE.